Ex-prime minister Nawaz Sharif on Saturday has continued to record his statement in Al-Azizia Steel Mills reference and said that he has never used Qatari letter in his defence. 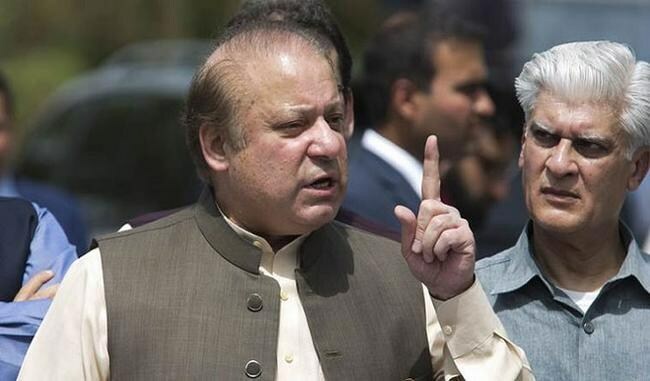 During the hearing headed by accountability court judge Justice Muhammad Arshad Malik, the former PM answered 30 more questions, saying he never relied on the Qatari letter. Qatari prince Hamad bin Jassim bin Jaber Al Thani had asked Joint Investigation Team (JIT) to send him questionnaire but the team-imposed strict conditions, he added. The Pakistan Muslim League-Nawaz (PML-N) supremo went on to say that the prince had verified both letters forwarded to the Supreme Court (SC). JIT had no reason to declare the Qatari letter a story as the prince had always offered his cooperation for the proceedings at every level.